Senator Bukola Saraki Super-heads Gang Up Against Emefiele’s Nomination As CBN Governor Exposed! The nomination of Godwin Emefiele as the Governor of the Central Bank of Nigeria, CBN, has not gone down well with those who lost out in the plump job prompting moves to block his approval at the Senate. apex bank job to block the confirmation of Emefiele as the CBN Governor. The plot has now reached the Senate with some Senators opposed to the suspension of Sanusi spearheading the move. Prior to the suspension of Sanusi Lamido Sanusi as the CBN Governor, those being tipped to replace him include Aigboje Aig-Imoukhuede, Tunde Lemo, Dr. Sarah Alade, Mallam Isa Yuguda, Faith Tuedor-Mathews, Dr, Bright Okogu, Alhaji Suleiman Barau, Dr. Kingsley Chiedu Moghalu and Dr. Abraham Nwankwo. A senator from the North Central, who would not want his name in print, indeed confirmed to Pointblanknews.com that some of them have been approached to scuttle the nomination of Emefiele. Sources gathered that some who lost out wondered how Emefiele who was not originally on the list became the preferred candidate of the President for the CBN Governor. Sources alleged that Senator Bukola Saraki, an ally of Sanusi who allegedly got huge contracts from the CBN has been one of those linked with the plot. Aig Imoukuede, Tunde Lemo, a former Deputy Governor, Sarah Alade, Alhaji Suleiman Barau are all alleged to be very bitter that after it all seem that one of them was going to get the job, someone who was never in the race and who never lobbied got the nomination. 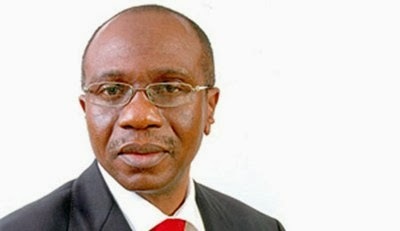 According to a source, “some of the people believe they have spent time and resources lobbying to get the job and for them it is heartbreaking to just lose out like that so they intend to fight on and see if they can fight on to create reasons for the rejection of Emefiele at the Senate” It was also gathered that foot soldiers of Sanusi are also pushing against the nomination of Emefiele to help them buy time for the court case Sanusi instituted over his suspension.